There are a LOT of different business tools that are great for artists. Way too many to list, or at least at one time. Stop back occasionally as I will be adding to this list. I have heard way too many horror stories about artists and others who have hired someone to build their website only to not get it done or they are charged many hundreds and even thousands of dollars for a simple site. You really can build your own website. It just takes some getting used to or if you prefer, just hire someone to teach you how to set up and update your website. If you do hire someone, be sure you never ever give them access to your main hosting account. You can set up a back door for them. This will give the website specialist access to the functions he or she need to build your site, without giving them access to your account info. This holds true for your domain name as well. Be sure you are the one registering your domain name. It is a horrible process trying to reclaim your property once you lose it, IF you can even get it back at all. So are you ready to avoid these potential problems and make your own site? Then here are some of the best rated and user friendly. In general blogs are the fastest and least expensive way to showcase your business. They have many templates to choose from, but if you want a custom look that doesn't look like a blog, but more like a regular ole website, then I would use a custom template. You can find many good templates just by doing a Google search like… best wordpress templates or best blog templates for artists. Here are the top blog systems. I would never pay more than $10 a month for a website. Just because you really don't need to. With any of these, beware of any hidden charges like adding on a page for another $25. Look at the prices and determine which features you really need and which ones you can do without before you sign up. Some of these also offer a free trial to test drive their product first before committing to it. Sleek and sophisticated with lots of room for customization. Great for blogs and portfolio sites. 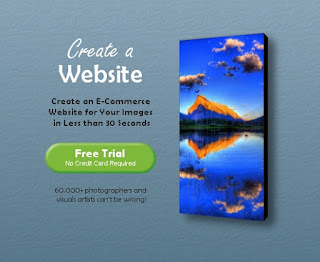 Probably the easiest website builder. 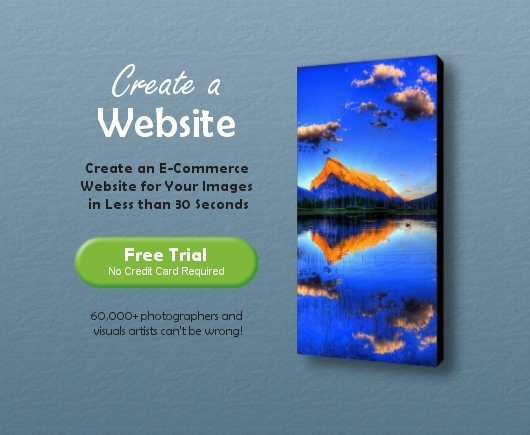 The nicest visually for artists and photographers. Have you used any of these? Let me know your experiences.